Global Invitation from The King ! Invitation for Your Carrier, Intelligence and development of Your Life. I am a Man, which can support Your future ! Legal form of Superpower ! Reserve check to ensure the functions of the Office. Payment for the government of the country providing support to the Chief Financial Office. Build contacts with Banks and ensure the management of ID's economy and a register. Stabilization Ministries and Ministerial launch planning. Activation of cooperation between International Military forces and ensure the development of International security. Development for ID's membership into the Global Structures of Organization's. International business development in order to develop and stabilize civilization ID's. Contacting all Refugee camps and relief centers for the opportunity to obtain a new population. Development for Global Humanitarian projects. Safe life of all hungry people and grow global life qualities for all. Stabilization of cooperation to the International Alliance of WD. Stabilization of cooperation to the ID's Corporatocracy government. Stabilization of cooperation to the ID's Popular government. Open the Culture Center's in the world. Creating contracts between legal entities, in order to spread our own active structure in society and thereby maintain the stability and development office. Registration & development of the New Corporation's. Free open right for all people, in oportunities of support sharing invitation and organized help for ID's government. Authority and its composition in the number of members is unlimited, the official person can become everyone who will be confirmed as safe and responsible person. The Office was first divided into geographic offices, which are based on a centralization by local commercial markets and continental political relations. Furthermore, the office established for the logistics and implementation of strategic communications at the political monitoring of global public media, ID's private messages office plans in the official calendar of important dates, and business and political acts, with continental and global statistics. The Office as the most strength of its management, communicates and organizes always in the interest of the local continental cooperation activities with the other traders, NGOs, organizations and governments and their policies, and other communities. The target is to establish a Common Friendship and Diplomacy, and develop markets. Office registers all subjects of politics and business in the local area office of the continent, and thus promotes the growth of logistics, communication and cooperation in the interest of each individual entity and its own International legal position volume. Office creates a filing cabinet that stores all the files and systematical information on each subject, for better developmemt of our friemdship relation and planimg. The Office as the residual minority forces its management, communicates and organizes always in the interest of global planetary cooperation activities, thereby creating interactive chain among other ID's Offices in a range of other continents of the planet, and it is led by a string of public authorities for the purposes of global development. So there is a part of the ID's Royal Council. The Royal Council checks the documents and then carried their approval or division into two categories of legal responsibility performance of legal affairs of the document, according to the Autonomy of Authority or responsibility of the Royal Council. The Royal Council also verifies the activities of officials and thereby gains the right to replace officials in the interest of their official position, or stop their functioning. Any official who is registered with the Royal Council and thus a right to create the office of management and activities. ID's provisory Offices and their people are not divided into different position in the scheme of active difference. Official persons together and each as interactive group that organizes its budget work by the time the performance of the strategy in light of its own division of the number of officials and their qualifications. This creates a Common Intelligence Society that produces management activities in the official register of each individual. Officials are together as a group for direct intelligence work at the Ministerial Councils function flexibly in accordance with the budget challenges. The Office therefore creates an administration official annual financial budget, which is then confirmed before the International Bureau ID's government. The authority must always be someone who is responsible for supervising ministerial interests, and that means creating oversight interests of the Ministry and exercise activities by budget targets active on the International and Federal level, and in the interests of the network established cooperation and partnership. The leader creates management oversight functions, and thus subsequently leader of management controlled by the investigating police official. The main objectives of the office and logistic distribution flexible position of members of group intelligence is determined by major and important categories which are then developed by the Office of achievements. Political relations between organizations, states and communities. Business relationships and agreements and strategies, global network of business partners. Furthermore, the office is active at the level of the second group of officers, employees and offshore agencies and activities that lead the administration of the tax office, intelligence banks, trade financing costs and investment strategies of the market and its own operations, authentication, real estate management, document archive, security services, cleaning services, management of Cultural centers, Business centers management, and other operational functions. Office holds the right to set up commercial companies that can be applied in the public market, thereby ensuring the administration offices and also extend gains offices in strategy autonomously employed offshore companies. Each office dedicated profit budget before the Royal Council to finance this interest will be determined on the application of the annual budget of the Authority. Authorities by ensuring legal communications between local Banks, thus resulting agreements are designed to ensure confirmation of the ability to create a common exchange coins between states while planning investment cooperation. The first objective of the office is to provide legal and registered financial management functions, and so consequently gain the cooperation of the state bureau de change and the creation of a joint session with Banks, as a first goal. Then the authorities can act as a secure facility that guarantees the legal value of financial authorities, and therefore the ability to create trade missions and provide their own profit, too. Office allows the use rights of other foreign institutions for inspection office and the issue of ratification on financial management and proper activity management, investigation according office observation, and signature of the Royal Council. Each authority therefore develops its own business structure and thus also the ability to create their own autonomy of the offices in the nature of the annual budget for the financial functions of the office and ensuring payments from profit corporation official. Official corporations are then combined into a single volume of trade names with other trade unions in the same category, administered by the Foreign Office's ID. So they are organized market business and processing markets, markets servitude, markets, investment strategies, but also markets petroleum refinery center Fisheries, Mining, metallurgy and mechanical engineering, electronics, chemicals markets, aerospace imdustry, architecture, many other key markets around the world. Authorities own right to create a new registry business corporations, establishment and management of state trading corporations, as well as development of business networks and employment of new workers and expand the management of markets and trade networks. Aim office and exercise their rights as Imperium of Diamond's arising from the UN Charter, the main task is to create our own business contacts and presentations in Associations of traders, marketing planning and market development in many fields of business categories. Creating business plans among traders and also grow their own intelligence sources for support our common development or developmemt their new Head Quartiers of corpoation into the Imperium of Diamond's countries. To ensure the strategy of development of the markets, and the growth of civilization Imperium of Diamond's Federal Government Imperium of Diamonds is willing to provide up to 1 000 000 000 000 € as an annual sum to purchase strategic raw materials in the market to stabilize the ID's civilization, thus ensuring growth also for internal markets and new business center and new branches population. Office holds the right for receipt of applications for new citizens and providing VISA Cards, or for granting Citizenship ID's subsequent verification of identity and also ensure the safety of questioning be Investigative commission. People who seek to receive Extraterritorial VISA and have the right to also take advantage of business interests and support the development of other business networks. New citizens may be utilized for the provision of the new business corporations and their management, and for the purpose of securing business networks consumerism, new living houses, development of the new cities. Register new citizens also supports the ability to support the number of employees at offices and production and strengthen the intelligence official activities and regularity of International relations and development results in a better level of success. The Authorities thus further expanding the growth strategy of real estate values ​​to its own stability and also for the development of custom levels for the position of an International character. In order administration official as the register of immovable property and possessions, register and development of industrial centers. Register and agricultural development centers. Register and development research centers. Register and develop their own military forces. Register and develop other interests civilizational dimension advanced look, and strategies for stabilizing ID's civilization. One of the primary goals is strategies for development of Officess Living Social centers when each Officer can use properties as a his home. Each official must function during a temporary office, so use either dual citizenship as belonging to their own state and thus the Imperium of Diamonds State, or official will be as user Extraterritorial VISA. In the case of the government to ensure full stability Imperium of Diamonds, then it will be every official to take responsibility to ensure full citizenship of Diamond's Imperium, or in the latter case to resign from office. An official who confirms the full citizenship of Imperium Diamonds obtains the right to political activity and are also entitled to apply for the position of senator, and other political positions. Any official who creates a job that takes a responsible financial payment that is due to Extra-territorial division calculated on the two amounts. The first amount of financial payout is provided for the possibility of ensuring good social policies and quality of life for each official and by the budgets of standard financial revenue civilization in which the official in his own personal life moves on and what the economy is dependent upon his own life. The balance of the value of financial payout under the economic budget Imperium of Diamonds country, will be deposited to the account of the interests of the territories of Diamond's Imperium, and the clerk so it can develop its own property and trade on the territory of the Imperium of Diamonds, be use of his fund. Such funds can not be transferred to foreign bank accounts unless agreed bilateral agreements on joint stabilization cooperation between states, and it is led by the Principal state charges for the transfer of certain financial dimensions in the territory of a foreign state. Official persons have the right to ask for the democratic development of the state of Diamond's Imperium, until will provide full stabilization of the Imperium of Diamonds and the ability to utilize all security resources for legitimate function of government. Authority within a period of time only supports the development of logistics and strategy and legal planning and propagation dynamics jurisdiction Imperium of Diamonds based on the universal principles and also in the interest of stabilizing obligations civilization. It is an obligation to create its own center for the use of a central postal address (a small warehouse for sorting the mail between departments offices), telephone number of the office, fax, e-mail, Internet account for deposit and withdrawal of a public document, a private website office and portable server connected to the Internet, is an intranet for the possibility of International communication, and also contracted or available resources for the possibility to organize conference meetings, summit, and cultural center for the purpose of presentation of ID's state before the public company. As the main unseen becomes an obligation to possess the ability to exploit fully private function space for offices and small storage Archive documents and books, The Archive. The Office shall provide the ability to use their own financial safe which serves as a local branch of the budget for the financial manipulation and limited transmission and storage of Finance. They must be safe guarded recording system, while private security patrol. Architecture and design creation vault will be designed for communication with the Royal Council. In the event of a successful and safe operation of the office of management and safe, then it will also open a safe investment. Exil or Extraterritorial Office as an office on the territory of another state (because of the occupation). All Authorities unified position on the provisional orbits planet Earth (synchronization with defense station). Government offices for the position of legal territories of Diamond's Imperium (after ensuring stability, security). The Office mustnt organize and promote any illegal drug trade in arms, terrorism, drug trafficking, human trafficking, trafficking of stolen properties, national and international organized crime, or any other persons who are active in such a form of crime. The Authority must always expand relations only with persons who may legally verify and prosecute justice courts, or if necessary, to guarantee enforceable guarantees active in the jurisdiction area of ​​Diamond's Imperium and ownership. If the Imperium of Diamonds federal government, because of the destabilization in the occupation, it will not use its own population for the activity of its official activities, and than therefore all governments around the world in view of the rights of the UN Charter and peaceful purposes to support developing countries as a principle and universal moralism and all governments have every right to use their own state labor offices, thus ensuring the development of Extra-territorial office ID's government from its own resources stocks for temporary use and ensuring stabilization. Activation of International business and legal market raw materials. Registry markets. A Member of the Authority shall be not any person who may be under threat as recognized for manipulation or hypnotic influence. Photos Skyscraper boxes construction, and a description of the construction project. Centrum business sector, offices and social housing units. Balconies serves as an open garden with autonomous system maintenance and watering plants. Ability to connect to electricity, gas pipes, heating steam distribution water pipes, sewage drains, digital networks, data centra, intranet, internet, air conditioning, air mail, air pressure, high-speed lifts (600 meters per 5 seconds), solar panels and electric generator extinguishing systems and fire alarm technology, many other forms of utilities. The process of construction, industrial hall for the construction of modular housing units for folding using large-capacity circuit components of concrete steel, carbon steel, sheets and construction, glass, construction, or any other special materials. Industrial hall can be equipped with a robotic arms that can immediately and mass-produce flat plate from which arises the wall units. Flat plates made from its own resources chemical laboratories, or through trade agreements of financialy autonomous business without start-capital. Production of materials and their processing on building walls to work automatically by computers and mechatronics. Production of materials and their processing with the production of construction wall using industrial technology simple time step, for 20 hours each component is made to build the whole dimension of the skyscraper. Of the major components will be automatically according to a digital patchwork plan living room, one room, according to the distribution of industrial lines. The base is a kitchen, toilet, sleeping room, living room, library, wardrobe, children's room, children's playroom, or under comercial business form therefore schema of the comercial and office space properties. Robotic arm to install electrical wiring, sanitation, interior design, floor, doors and windows, all the basic components of the interior according to the social, economic and construction standards. Each room can be designed according to the schedule of any size and utilities. Rooms will be transported to the construction site. Each room will immediately enthroned crane for mounting on a steel-concrete structure into a single housing unit. The construction was carried out automated crane that lifts all the rooms and then composed a social apartment, one after another, until the appearance of the skyscraper. Crane is fully automatic, navigation with a digital plans and synchronize with 3D cameras. Residential units are designed to immediately belonged together, as a dual component that automatically connects via geometric mechanical system. The technology is able to build a skyscraper in the period of 40 hours from the beginning of the production of materials until the hour when folded all rooms. Starting price for full activity Construction Corporation, € 10 million standard diameter to start simple projects. Profit is a simple investment, created a skyscraper can serve as a center for cancley and comerce zone renting, and business centers. In many countries around the world, financial markets and business corporations count on a good size that can ensure pro forma net profit from renting properties over a period of one year. In a country like France, according to the fundamental analysis of the economic value of property, income from renting commercial space can be discounted monetary value of € 50 million, for a budget of 200 business corporations. This means that if we can use our own resources for construction materials laboratory using chemical production, carbon, specialty plastics and many types of metals, construction is capable of success for stable development. Some Utilities can then be paid in five annual installment agreement, or through joint trade with other corporations. Therefore, I am King Gottwald Peter seeking intelligent people who are able to support the development of our shared Global infrastructure of organized networks Imperium of Diamonds policies with Diplomatic or Extraterritorial status, and its own intent for custom stabilization of civilization, when principles and claims under the UN Charter, the UN General Assembly Declaration, universal principles. The Great Day for You ! Electronic Producer companies have Right for support development for system of Autonomously organized Trade and Business, Servicess and Officess of Finance, Trade and Law logistic. Most ideal place for business of Every Company !! 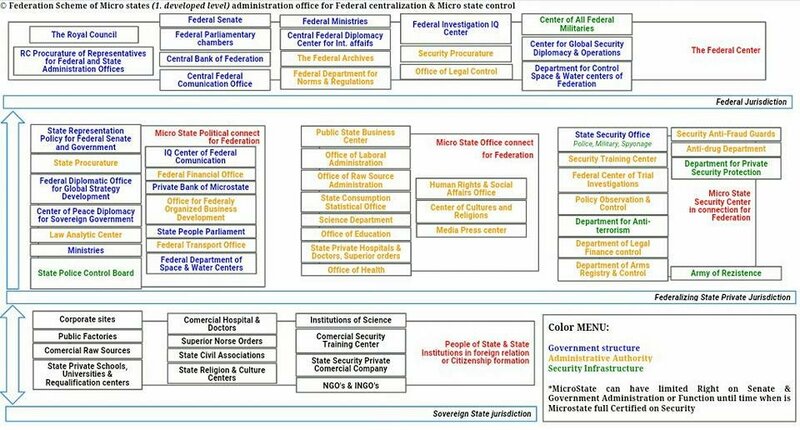 The Corporatocracy Center, most advanced business project in The World ! Open space for Global Business Cooperation !! Open space for Managering of more than 1 000 000 firm's ! 600 New Skyscraper's for Global Centralization ! New World and New land, only people with good will and with good interest. The New World which is free from crime and fraud. No boundaries and blockades, just freedom and victory! All Private Military Companies can use ID's soil, for development Military Colony, in interest on protection. 1. Every corporation, companies and business from around the world have all right to create their own business and productive branches which will be based in the territories of Diamond's Imperium. 2. The Corporation and the company's own and are entitled to use in case of registration of it's own trademark's through the registration authority of the federal government Imperium of Diamond's. 3. Branch companies and corporation's will be guided by the management of man who is a citizen of the Imperium of Diamond's. 4. Activities companies and corporation's must be in the interest of matter civilization Imperium of Diamond's, so in order to maintain stability. 5. Branch companies and owner's have the right to enjoy all the right's of the federal government Imperium of Diamond's. 6. Branch companies and owner's have the right to obtain grant's for the development of businesses and corporation's, and grant's from the Federal Government Imperium of Diamond's, in term's of finance or contract's generated trade and cooperation. 7. Branch companies and corporation's based it's active branch for the possibility of launching joint commercial relation's with the other branches of business firm's and corporation's with activity in the territories of Diamond's Imperium. 8. Branches of companies and corporation's, thus creating a joint activity of which arise through the cooperation network of business market's, industrial, agricultural network's and the commercial services. 9. The federal government Imperium of Diamond's own demand's for all decision's on the management system between corporation's and firm's, regulate prices, the value of ratification of services, determine the value of the tax, fees and the ways of the market and the legal principles of the Imperium of Diamond's. So even distribution of branches and their zones of activity. 10. 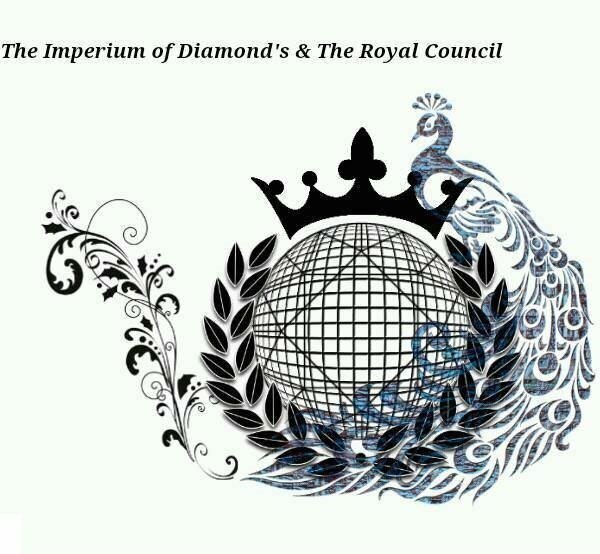 The federal government Imperium of Diamond's therefore seek's to ensure the full development of each entity firm's, corporation's, and their ability to exercise corporation's and companies in the interest of the best option's when equivalent vision of Management for civilization Imperium of Diamond's. 11. Management for subject of companies and own's the obligation to respect the right's of citizen's of the local area, in order to respect democratic nation in an effort to appeal the project due for breach of the landscape values ​​of the area, ecology, health, values ​​and possession's, liberties and other values ​​claimed by local citizen's. 12. The federal government Imperium of Diamond's why announces entitled to establish cooperation between companies and corporation's in the interest of their demand's for activity that and also mean's the ability to create a system that will ensure the application of any corporate and corporate activities according to available and usable option's and therefore the federal government Imperium of Diamond's always creates a system to ensure the implementation of all activities between corporation's and firm's according to their interest in the market. 13. The federal government Imperium of Diamond's promises always interested in applying for business interest's and the possibility of any companies and corporation's. The Corporation and the company must respect the stable operation of commercial network's and civilization, so wait for permission to apply different product's and activities after confirming the federal government Imperium of Diamond's. 14. Every business and corporation's must keep and respect the obligation to keep all values ​​in the territories of the Imperium of Diamond's why not handing through government and state border's and raw values ​​or estates where the beating permitted to possession's to be transported. Government Imperium of Diamond's request's to respect the prevention against inflation and the currency must first be authorized by the federal government Imperium of Diamond's possession's so that they can be transported to other territories. 15. Every company and Manager's have the right to establish a council of local businessmen colony, then a colony transformed into a federal entity Imperium of Diamond's, and thus the Assembly created communication strategies civilization market's and trade, development and planning, implementation of official debt's and at the same time as applying for other permit's activities and register. 16. The Assembly of trader's, companies, corporation's can be used to create common agreement's on the transformation of companies and corporation's, by corporation's to create additional categories that are running permission jurisdiction of the federal government Imperium of Diamond's. 17. Every company and the right to form their own stock market's and establish and develop cooperation with other companies. 18. Every company and own's the right to register their own copyright's, patent's, trade law and other wealthy values. The Registry is conducted by the local council merchant's. 19. The federal government Imperium of Diamond's but it's own right for it's publication obligation's standardization policy activities, budget and value of payment's, limited working hour's, the right to process the application of the product on the market and decision's on the duties of the process to confirm the safety of the product and it's safe use, storage time decision categorization of product decision's on the right's of dealer's in the just proportion and thus ensure the stability function of civilization. 20. Firm's must always be the first to register the product and service, verify it's safety and wholesomeness, to ensure the verification of authorship, and only then to declare product's as raw material's with the ability of business application's. 21. In the event that the trader, the company and the corporation will be willing to respect the principles of activities, then the federal government Imperium of Diamond's own eligible collateral for the product on the market, collateral activities of companies and corporation's, or stopping corporate association. 22. Every trader, company, corporation always own the right to use protection and justice through the federal court's Imperium of Diamond's why the option to create a common activity that mean defending the right's, claim's and own property and justice. 23. Every company and corporation own's entitled to use the security system Trial Safety Commission, in order to ensure full safety of all activities, justice and right's. This may, at the request of companies and corporation's, be controlled police investigation's, court proceeding's and activities Agreement's among other corporation's. 24. Every company and own's the right to require the actual claim's of justice through the federal court's of Diamond's Imperium, and in case if the court does not the just verdict, then the company and own's the entitlement to make the request for the examination of the case by another court abroad. The court's of the federal government Imperium of Diamond's, however, have the right to determine the authenticity of a foreign court nobles, and through examination of the matter before the Trial Safety Commission and thus confirm the authenticity of the decision's of foreign court's. 25. Initiating activities in the event of a situation of extraterritoriality for branch corporation's in a situation of occupation of the federal government Imperium of Diamond's, then the company and the corporation owning the right to enforce their own claim's through the court's and local state jurisdiction if the court will not use force Imperium of Diamond's. 26. If the company and the corporation shall establish cooperation during situation's of government Imperium of Diamond's under occupation, terrorism, and the company's own claim and the full right to establish prosecution against terrorism if made situation will be a problem for the operation of the development branch and the establishment of the shop's in the size of territories and jurisdiction's Imperium of Diamond's. 27. Every company and corporation initiates the effort's of establishing commercial activities on the territory of the Imperium of Diamond's in the interest's of usable form's of jurisdiction, and already in the case of a situation where it is applicable only formal extrateritorium, then the corporation and the company has commercial and self-management support the development of colonies in the situation of extraterritoriality therefore, in order to extraterritorial colony to be successful in order to be able to move safely in the territory of Diamond's Imperium and establish functional and civilization in the interest rate of the number of citizen's of usable space and living need's during the transition to each individual. 28. Every corporation and a company that will support extraterritorial colony, the company and the corporation gain's entry into the worksheet corporation's, companies and specialty societies destined for special benefit's. 29. Every businessman and corporation's must for safety reason's and the need to maintain the stability of civilization, always comply with the requirement for the use of premium's in the event of loss, accident, theft and damage to businesses and corporation's, and corporate and corporate asset's. The value of the monthly payment for the insurance is paid by the insurance authority colony acreage, subsequently transformed colonies authority to fully valuable federal government entity Imperium of Diamond's. 30. Obligation fuses must be paid in the form of the first cycle of payment's the repayment period of the share capital to ensure security stability management function's of companies and corporation's in their damage, then only the payment of the second cycle which is assessed on the value of monthly installment's according to the required values ​​for the relief office and salary employees and with the amount for the possible development office and the office of profit to the reserves. 31. Every trader, and the company own's the obligation for payment of taxes from the monthly financial gain, such as the amount levied at 5%, Danny doing business in the interest Extraterritory colony. Finances are also designed for senior local authority colony, thus ensuring the function of the authorities, the police and the army, hospital's and civilizational services. 32. Every trader, and the company own's the obligation for payment of taxes from the monthly financial gain, such as the amount levied on 10% of Danny, while business interest's in the federal territories of Diamond's Imperium. Finances are also intended for the federal government Imperium of Diamond's function and thus ensure the authorities, the police and the army, hospital's and civilizational services. 33. Every trader, and the company own's the full right's to preserve the value of their own privacy. There is no any person who may own the claim for the seizure and damage to property firm's and corporation's, with the exception if the federal government Imperium of Diamond's will not seek the confiscation of asset's through payment of the actual value of the specified property confiscation. 34. Every business, corporation's and any other entity that perform's handling haves values ​​and finances and therefore must always establish and maintain their own ledger which will therefore always provide a register of all business activities and movement's of resources, budget's, and fund's owned properties branch. 35. Ledger must be verified by the tax office. Financial office hold's the right to transmit financial control which shall verify the book's and possession's and activities of the company. 36. Every company and corporation, the shopkeeper must store all personal financial gain value in the bank which was made under the Colonies or in the interest of the federal government Imperium of Diamond's. 37. In the case of establishment activated civilization Imperium of Diamond's, then it will be possible to ensure the full takeover of the management of all colonial bank's through the Federal Bank, as well as ensuring full security handling. 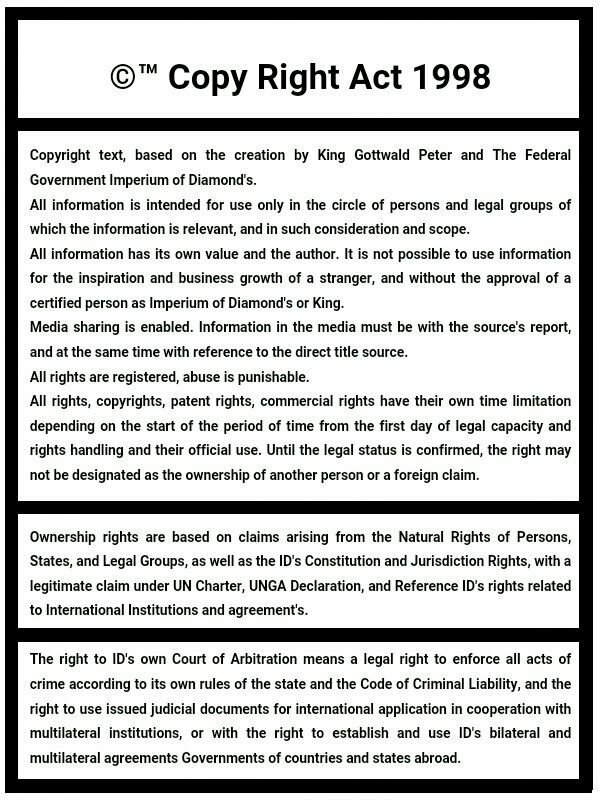 The federal government Imperium of Diamonds owns the rights to its recognition as a state Declared own constitution and provisions on the formation of the government, even while holding their own territories. Recognition at the international level is complicated because of the special situation, but without conflict and inhibitions. King & government is Illegaly blocked abroad, terrorist under hypnosis, therefore, for reasons of safety, no any government can be assured full declaration of our relationship. Therefore is the international recognition is based only on an ''Express Acknowledgment'' means just mention that it is not supported unconstitutional and active support. For reasons of security situation during the oppression, any government must not publish entirely public relations together, so in order to secure a stable world order, law, economics, politics and security. 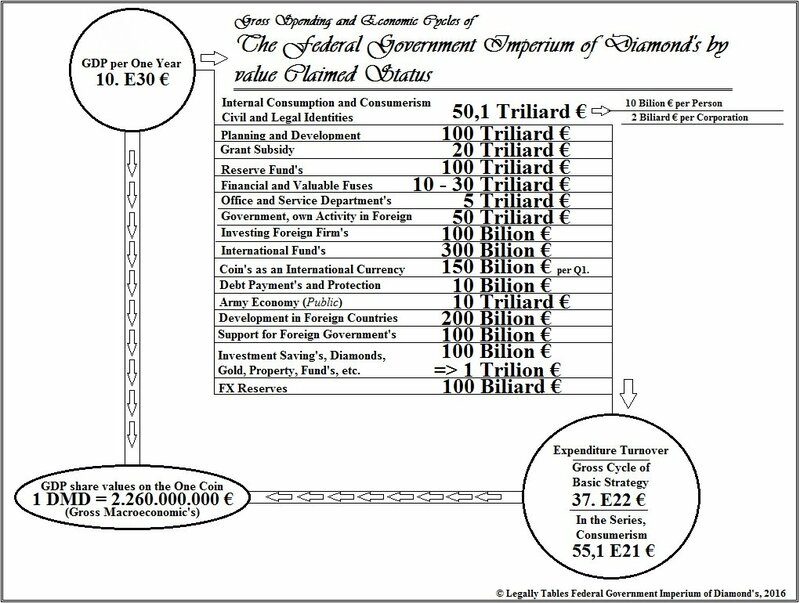 Therefore, the federal government Imperium of Diamonds need to gain Government Provisory Office that ensure independence from illegally blocking abroad, thereby creating a situation where the government Imperium Of Diamonds can immediately start all international relations with other governments of countries, and at the same time build Imperium of DIamond's own business, to expand the population and the army, to ensure the full growth of civilization. Therefore, the main task of the government, to ensure the autonomous functions of the Authority so that it can provide your own communication with politicians, with governments, organizations, and also with the merchant. The federal government Imperium of Diamonds communicates largely on the level of international regional and continental organizations, presidents and premiers country, political parties, business center. Therefore, King of federal government Imperium of Diamonds, be the name of the state really thank you for your support and the ability to promote our common development. 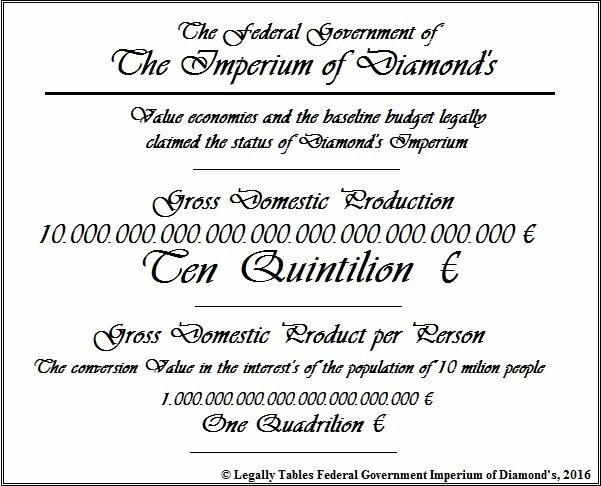 Today, the legal value of the federal government Imperium Diamond's reach to the level of Superpower! The first and immediate obligation of terrorist European governments, in their consequences on the European Crime of Apartheid, fascism, genocide, occupation, blockage. The first requirement for proof of the peaceful existence of these governments, and also stop the criminal responsibility of the new government's mandate, therefore, is obliged to ensure the function of a makeshift office Imperium of Diamond's, thus ensuring immediate cessation of all crimes and acts giving rise to conflict or instability meaning of genocide, financial bankruptcies and global terrorism, too. Because of terrorism, and thus caused the destabilization of governments Imperium Diamond's, so is the ability to find a job applicants for temporary office of the state's population with their own labor offices terrorist state. The same obligation also own state as citizens of the country in the interests of the principles of the European rights as well as international legal obligations and principles of natural rights and the UN Charter. If even state media are not functioning and create blockages or damage name of people, then reaffirmed that the state reactivates terrorism. If these principles are not used, then it means that European terrorist entities not want to create peaceful cooperation, and therefore their interest and strategies always crime, terrorism and violation of international law, occupation, disinformation and the integrity of the foreign state and genocide, espionage , slavery and other crimes. Therefore, it is always legally claimed opportunity to give full open duty for the disposal of the entire dimension of this terrorist entity governments and the state, using weapons of mass destruction, such as the obligation of States UNSC and the principle of universal law because of the direct due to the rise of the United Nations precisely for this act and purpose meaning secure an immediate measure for the complete destruction of states and governments of countries that produce the same crimes as fascist Germany during World War II. European terrorist subject 6× much outstrit genocides of the WWII dieth statistics, and much than 20× much of number of occuped countries be legal form. This means that losing a UNSC veto power, in order to prevent monopolies personal interests of members of the UNSC, and so it is again reminded that the United Nations was founded after the Second World War, and after a full recharge of the fascist Berlin, and therefore begine legal order. When the UNSC is not sufficiently responsible body for ensuring the ability to immediately liquidate terror organizations, then it is an obligation for all States UNGA ensure the same goal, that is an automatic act of global legalization of all states open rights to mass produce weapons of mass destruction and use nuclear weapons, biological weapons, chemical weapons , asteroid weapons, reality-modifying weapons or other weapons of mass destruction character (today is best for use weapons for continental destruction, plans public on ID's website). Weapons must be used against all countries that are active in terrorism and also against all countries that support such entities in any way. When the UNSC and the UNGA States will not respond, and destruction of terrorism will not be ensured, then it means the decline of the global political system, the world of the New Occident. Every politician and an official who creates such a threat because of his political irresponsibility, because he threatens your country and the world, threaten of full destruction of Your state be the weapons of mass destruction. Therefore, such policies and criminally liable person may be punished too be the form of Occidental character, criminals responsible, their family, friends, punishments for those because most historic betrayal against our whole world and against the law to secure the life of every human being. Existence "who not can be born" ! Commonly, we have a Great Succes !